The safari starts and finishes in Kigali. 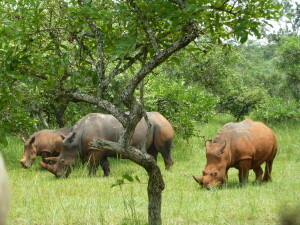 This safari can also be done as a privately as an add on safari to those in Uganda or Rwanda safaris. 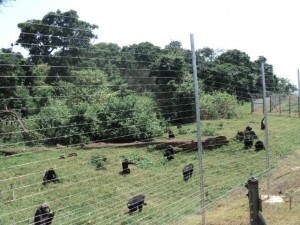 Nyungwe Forest is a big montane forest, in southern Rwanda is believed to be the largest in Central Africa and has thirteen species of primate including chimpanzee and large groups of Rwenzori colobus. Tracking is on steep slippery hillsides and viewing is unpredictable. Around 300 bird species, orchids and butterflies are other attractions. Day 1 :Kigali Nyungwe Forest Be picked from your Hotel and start by driving south for Nyungwe Forest. Drive further southwards visit the old kings palace in Nyanza. Drive past green hills of tea and the vast Nyungwe Forest. Check in at ORTPN Gisakura Guest House (FB). Day 2 : Nyungwe ForestCarryout an escorted nature walk in search of the large groups of colobus – you can see many monkeys in large groups and birds including the Rwenzori turaco. Or go chimp tracking. Picnic lunch. Return late afternoon and overnight at ORTPN Guest House (FB). 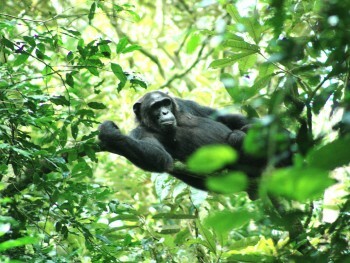 Day 3 : Primate walk in NyungweGuided nature walk in the forest for go chimpanzee tracking. Overnight at ORTPN Gisakura Guest House (FB). Day 4 : Return to KigaliReturn to Kigali. Visit the cultural museum in Butare enroute. Transfer to Kigali or to the airport for your home bound flight.